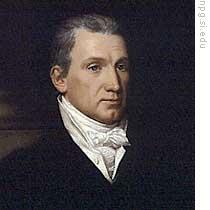 In the spring of eighteen twenty, President James Monroe was coming to the end of his first four years as president. He wanted to be elected again. But he faced a difficult decision. Congress, after much debate between the North and the South, had approved a bill giving statehood to Missouri. Missouri was part of the Louisiana territory. Southern lawmakers wanted Missouri to permit slavery. Northerners wanted no slaves in Missouri. A compromise was reached. Missouri could have slaves. But nowhere else in the northern part of the Louisiana territory would slavery be permitted. Now, Sarah Long and Steve Ember continue our story of the presidency of James Monroe. Many southerners were not satisfied. The compromise closed the door against slavery entering large new areas of land. Southerners -- like all other Americans -- had a right to settle in the new territory. President Monroe was a slave-owner. He understood the feelings of the South. 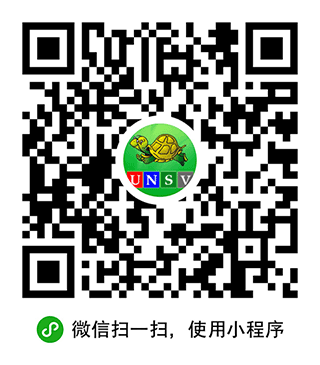 His friends urged him to veto the compromise bill, because it limited slavery in the territory. Monroe believed the compromise was wrong -- but not because it kept slaves out of the territory. The president did not believe the Constitution gave Congress the right to make such conditions. Monroe even wrote a veto message explaining why he could not approve the compromise. But he did not use the veto. He also understood the strong feelings of those opposed to slavery. The crisis seemed ended. But a few months later, a new problem developed. Missouri wrote a state constitution that it sent to Congress for approval. One part of this constitution did not permit free black men to enter the state. The constitution was immediately opposed by a number of congressmen. They charged that it violated the United States constitution. The United States Constitution said citizens of each state had the rights of citizens of each of the other states. And since free black men were citizens of some states, they should have the right to be citizens of Missouri. The debate over this lasted several months. The compromise of eighteen twenty settled the crisis of slavery for more than twenty years. But everyone knew that the settlement was only temporary. [Former President] Thomas Jefferson used these words to explain his feelings about the compromise: "This question -- like a fire bell in the night -- awakened and filled me with terror. I understood it at once as the threat of death to the union. It is hushed, indeed, for the moment. "But," said Jefferson, "this is a reprieve only. Not a final settlement." Monroe's decision to approve the compromise did not hurt his election chances in eighteen twenty. There was at this time really only one party -- the Republican -- and he was its leader. The opposition Federalist Party was dead. It was no longer an election threat. Monroe was the only presidential candidate in the election of eighteen twenty. He received the vote of every elector, but one. 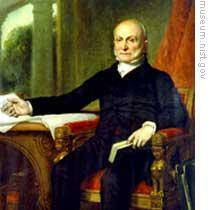 William Plumer of New Hampshire voted for John Quincy Adams. He explained later that George Washington had been the only president to get all the electoral votes. Plumer said he did not want anyone to share this honor given to Washington. Monroe's first four years as president had been successful. He had increased the size of the United States. Florida now was part of the country. And the problem of slavery had been temporarily settled. There had been economic problems -- some of the worst in the nation's history. But the situation was getting better. The nation was growing. As it grew, new problems developed between its different sections. There were really three separate areas with very different interests. The northeastern states had become the industrial center of the nation. The southern states were agricultural with large farms that produced cotton, rice and tobacco. Much of the work on these farms was done by slave labor. The western states were areas of small farms where grain was produced with free labor. It was a place where a man could make a new start. Could build a new life. The land did not cost much. And the fruits of a man's labor were his own. This division of the nation into different sections with opposing interests ended the one-party system of Monroe's administration. The industrial Northeast wanted high taxes on imported products to protect its industry from foreign competition. This part of the country also believed the national government should pay for roads and waterways to get their products to markets. The South did not agree to high import taxes. These taxes raised the prices on all goods. And import taxes on foreign goods might cause foreign nations to raise import taxes on southern cotton and tobacco. The South also opposed spending federal money for roads and canals. The mountains through the southern Atlantic states would make road-building difficult and canals impossible. The western states supported government aid in the building of roads and canals. The Ohio and Mississippi rivers were the only inexpensive transportation systems for moving their products to markets. The westerners also supported high taxes on imports, because they believed such taxes would raise the prices of their agricultural products. The separate interests of these different sections produced an exciting presidential election campaign in eighteen twenty-four. Each section had at least one candidate. Several had more than one. The campaign began almost as soon as Monroe was elected for the second time. At one time, as many as sixteen men thought of themselves as presidential possibilities. By eighteen twenty-two, the number had been reduced to six men. Three of them were members of Monroe's cabinet: Secretary of State John Quincy Adams, Treasury Secretary William Crawford, and Secretary of War John C. Calhoun. Adams was the only northern candidate. He was an extremely able man. There were few jobs in government he could not do, and do well. But he was not the kind of man that people liked. He was cold, questioning, and had a sharp tongue. His father was John Adams, the second president of the United States. 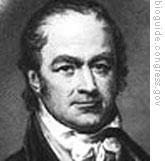 Treasury Secretary Crawford was a southerner -- born in Virginia -- and a large landowner in Georgia. Crawford had received some votes when the Republicans chose Monroe as their presidential candidate in eighteen sixteen. He was a good politician and supported by most southern Republicans. War Secretary Calhoun also was a southern candidate. But he had much less support than Crawford. His home state -- South Carolina -- first named another man as its candidate. When that man died, they named Calhoun. The West had two candidates in the election of eighteen twenty-four. One was Henry Clay of Kentucky -- "Harry of the West" -- a great lawyer, congressman, speaker of the House and senator. The other was Andrew Jackson -- "Old Hickory" -- the hero of New Orleans [the Battle of New Orleans during the war of 1812]. Jackson was poorly educated, knew little about government, and had a terrible temper. He was a fighter, a man of the people. The sixth candidate was Dewitt Clinton of New York. He was governor of that state and leader of the commission that built the Erie Canal. But New York presidential electors were chosen by the legislature, which was controlled by Clinton's enemies. So Clinton's chances were poor. Treasury Secretary Crawford was clearly the leading candidate two years before the election. But he had a serious illness in the autumn of eighteen twenty-three. He could not meet with the cabinet for months. He could not sign official papers. Crawford did go back to work. But he was only a shadow of the man he had been. "He walks slowly, like a blind man," wrote one reporter. So that took secretary Crawford out as a possible candidate for the coming election. Our program was written by Frank Beardsley. The narrators were Steve Ember and Sarah Long. To learn more about American history, go to www.unsv.com. We have transcripts, MP3s and podcasts of our programs as well as historical images. Join us again next week for THE MAKING OF A NATION – an American history series in VOA Special English. at that time, the presidents were often produced among the cabinet members, such as the secretary of state, secretary of treasury and secretary of war. e.g. Thomas Jefferson was as well as James Monroe.